challenge at The Crafting Cafe. To make my little Shaker Step Card. The paper I have used is by Papermania. as are the little padded hearts on the front. Seaweed Script, you can find it here. Pink & link up here! Hi Dawn, I just love this cute stepper card, the papers are gorgeous and I just love this little Aurora Wings Happy Little Mermaid image she's so sweet. 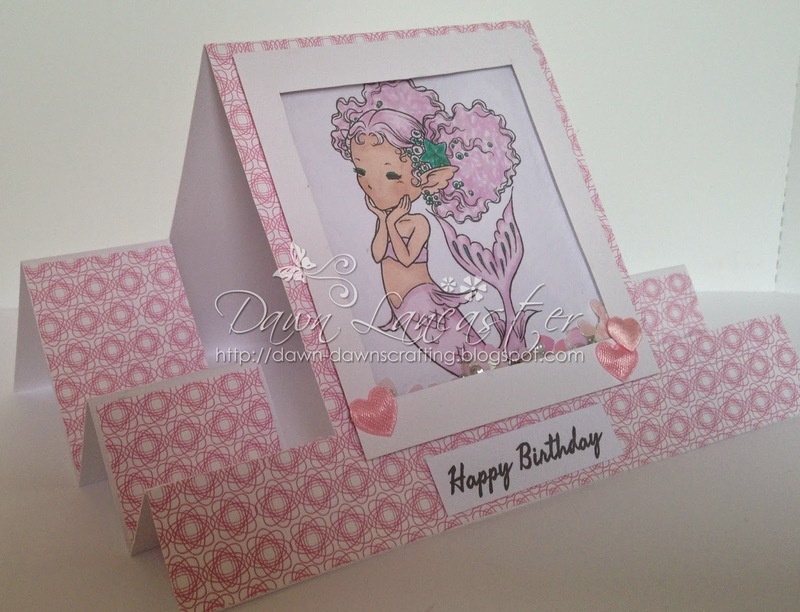 Gorgeous card Dawn, love the cute mermaid and beautiful stepper card. This is a fabulous shaker card Dawn, such a lovey image and pretty pinks. I do check my boobies every month. Beautiful! I just love that image and your coloring is fantastic! Love the stair step card too! Thanks for joining us at 4 Crafty Chicks this week. So pink and girly! Fabulous. 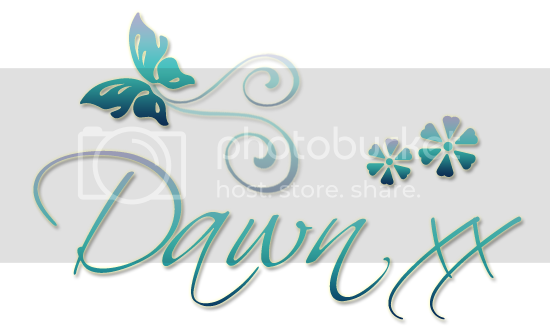 OMGoodness Dawn, your pink mermaid and seaweed are absolutely inspirational! Sensational card and lovely 'think pink"! 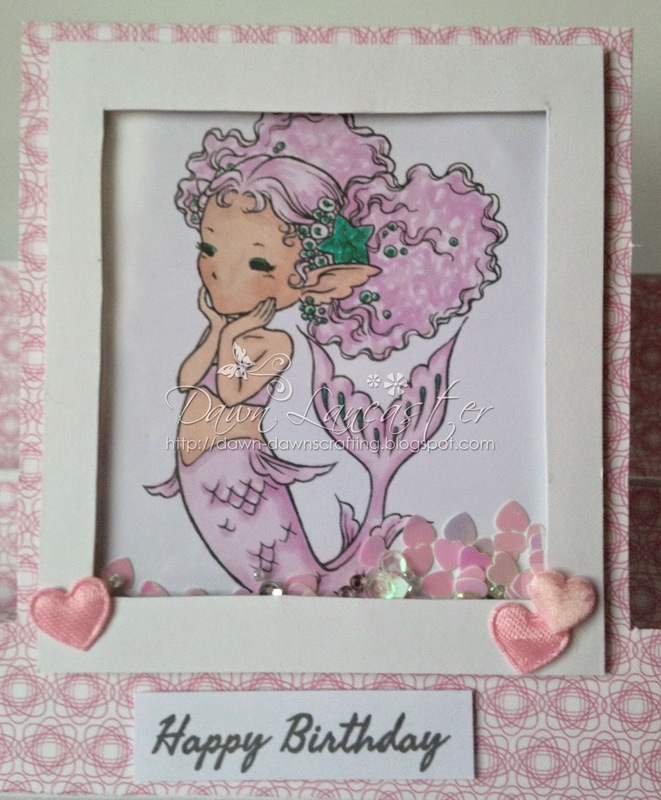 Love your adorable pink mermaid and shaker card! It is just so pretty! Thanks for playing along with us at Die-Versions Think Pink Blog Hop!! Oh wow, this is the most gorgeous card!! I absolutely adore the mermaid image!! How fun you made it a shaker!! I just love this so much!! Thanks so much for playing along with the Die-Versions Think Pink Blog Hop!! Lovely card! Adorable image! Great message! Thank you so much for sharing at Quirky Crafts Challenges. Kemly Dt. 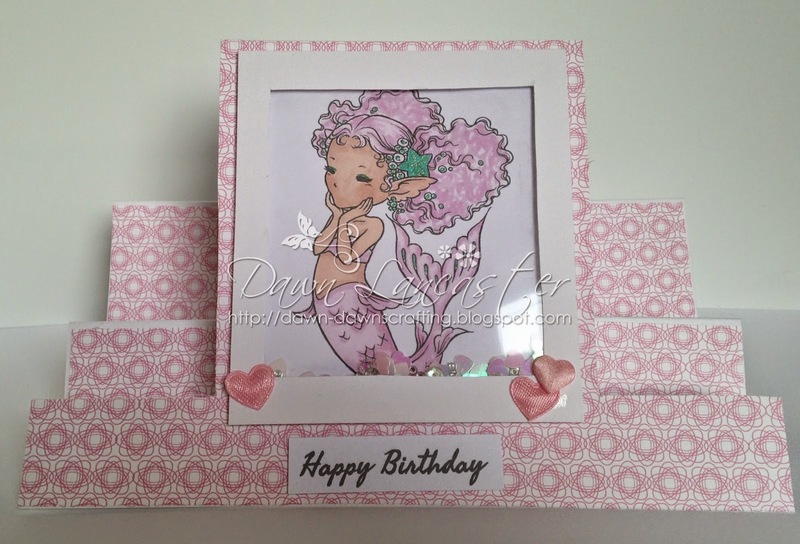 This is so beautiful Dawn, love that mermaid in pink and your design is fabulous! Thanks for joining us at Dragonfly Dreams and come back soon! Great design for your Shaker Card, looks fabulous.